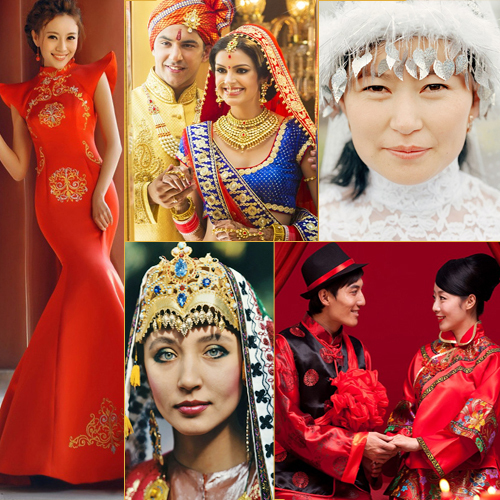 A lot of people associate weddings with white dresses and veils, but in many parts of the world, traditional bridal attire is quite different. Some brides don colourful garments and accessories; others paint their skin and faces in advance of their big day. Femail rounds up some of the most beautiful celebrations from around the world, because, as every bride on every continent knows, it's all about the dress.